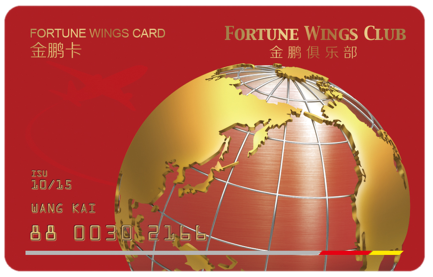 Fortune Wings Club is the global loyalty and rewards program of Hong Kong Airlines. 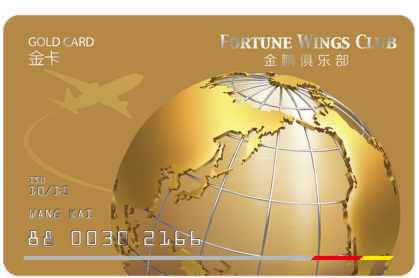 Fortune Wings Club provides you with a wide array of wonderful gifts and benefits. You can easily earn points by flying with Hong Kong Airlines, FWC Member Airlines and our partner airlines, using co-branded credit cards, staying in hotels, renting cars or spending with our partner merchants. Then you may use the points to redeem award tickets, upgrades and many other lifestyle awards. Members can earn SQP by flying with Hong Kong Airlines, member airlines of Fortune Wings Club and dedicated partner airlines. SQP are calculated based on the flying distance and the ticket fare class. SQP only count towards FWC membership renewal/upgrade, but not available for award redemption. Members can earn SQS by flying with Hong Kong Airlines, member airlines of Fortune Wings Club and dedicated partner airlines. SQS are calculated based on the ticket fare class. SQS only count towards FWC membership renewal/upgrade, but not available for award redemption. Members can earn Award Points by flying with Hong Kong Airlines, member airlines of Fortune Wings Club and all partner airlines. Also, you can earn Award Points through daily activities, such as spending with our co-branded credit cards, booking hotels online, renting cars etc. You can redeem air tickets, upgrades and lifestyle awards with your Award Points. 1. Elite membership cards are valid from the date of tier upgrade to the following month of the second year. E.g. A member was upgraded to Platinum card on 1 July 2016, the Platinum membership would then be valid from 1 July 2016 to 31 August 2017. 2. The validity of the elite membership is shown on the physical membership card. Elite membership cards are not transferable. If a member does not accrue enough SQP or SQS within the membership period to maintain his tier, the membership will be downgraded to the corresponding tier after the end of the current membership period. 3. If an elite card member has accrued enough SQS or SQP during his current membership period, his elite membership will be renewed automatically after the current membership period ends. E.g. If a Platinum card member has accrued 80 SQS or 100,000 SQP during his current membership period (July 2015 to August 2016), his Platinum membership will be renewed in September 2016 and valid till October 2017. 4. Once an elite member has earned the required SQP/SQS to renew their elite membership, any surplus SQP/SQS exceeding renewal requirement will be brought forward into the next membership period. E.g. A Gold card member needs 40 SQS to renew their Gold membership. If a Gold card member earns 50 SQS, the surplus 10 SQS will be brought forward into the next membership period. Since the member already has 10 SQS in the new membership period, they would only need to achieve another 10 SQS to achieve Silver tier which requires a total of 20 SQS; another 30 SQS to retain Gold tier; or another 70 SQS to achieve Platinum tier which requires 80 SQS. 5. 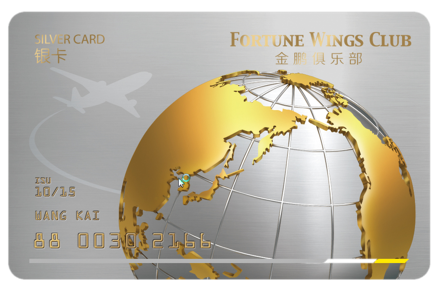 For full details of the membership upgrade/renewal, please refer to Fortune Wings Club's website. Join Fortune Wings Club Now! 1. 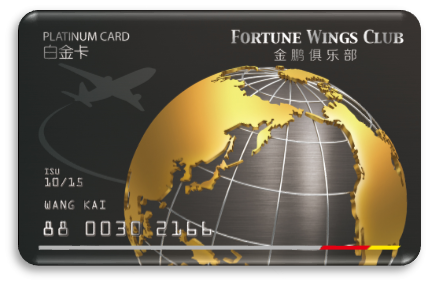 Fortune Wings Club Platinum, Gold and Silver card members may earn an extra 50% or 25% bonus points respectively apart from their base points accrual (subject to booking class) when travelling on Hong Kong Airlines and other Fortune Wings Club member airlines. 2. Accompanied companion must be travel on same flight with the elite members. 3. Elite members may reserve Extra Legroom Seat through Hong Kong Airlines Customer Service Center 48 hours in advance. Otherwise, elite members may also request upon check-in at the Airport. Hong Kong Airlines Customer Service Center hotlines: Hong Kong SAR +852 3916 3666 / Mainland China +86 898 950715. 4. Economy Comfort Seats are available on dedicated routes between Hong Kong and Los Angeles/San Francisco/Vancouver/Bangkok/Shanghai/Taipei/Beijing (vice versa), on aircraft A350. Elite members may reserve Economy Comfort Seat through Hong Kong Airlines Customer Service Center 48 hours in advance. Otherwise, elite members may also request upon check-in at the Airport. Hong Kong Airlines Customer Service Center hotlines: Hong Kong SAR +852 3916 3666 / Mainland China +86 898 950715. 5. Please click here for more details of check-in baggage allowance. 6. The Courtesy Channel is only available to passenger depart from Hong Kong (except transit in Hong Kong). Each eligible elite member will be issued an invitation card, the invitation card is good for the entitled member plus one guest. The Courtesy Channel service is provided by Airport Authority Hong Kong, other terms and conditions may apply. 7. Companions of Platinum and Gold card members must also travel on the same flight on the same date with the elite member. Members and companions must hold full fare tickets or award tickets in order to enjoy related services, except for travelling on codesharing flights and other free-of-charge tickets. 8. Domestic upgrade coupon can be used for all domestic flights operated by Fortune Wings Club member airlines, except Hong Kong Airlines (HX). International upgrade coupon can be used for all international flights operated by Fortune Wings Club member airlines. Please click here for more details. Upgrade coupons applicable on restricted booking class only. Please contact Hong Kong Airlines Customer Service Center or Ticketing office 24 hours in advance for upgrade request. 9. Before 15 August 2018, Select card members received one 50% off redemption upgrade coupon and 1,000 Award Points upon membership upgrade and renewal. From 15 August 2018, Select card members will receive bonus 1 SQS and 1,500 SQP upon membership upgrade and renewal. 10. Once an elite member has earned the required SQP/SQS to renew their elite membership, any surplus SQP/SQS exceeding renewal requirement will be brought forward into the next membership period. 11. Points will automatically overdraw when Platinum or Gold members do not have enough points during redemption process. If there's any overdraw records in member's account, the upcoming earned points will be offset the overdraw. 12. Every Platinum card member can apply one Silver card membership for companion within the Platinum membership period. 13. Elite members are required to present their valid membership card to enjoy elite privileges. 14. For full details of member privileges, please visit Fortune Wings Club website.